I recently followed a group called Discovery Trekking on Twitter and little did I know I was in for a big surprise. Approximately a week after following them I received a message through my inbox that I had been chosen as this months winner for a towel of my choice on their website. Skeptical at first, I decided to write back and find out if the email was spam. Long story short, the drawing was legit and I was able to pick out a towel to go backpacking with! With many choices to choose from, I decided to opt for their Discovery Trekking Outfitter’s mossy green ‘Extreme Ultralite Towel’. Shocked at the the first time I looked at the towel because of its size, all doubts were put aside and I was fascinated with the results so much that I decided to give the towel my own personal review. Take a look at what I have to say and why I recommend this towel for any outdoor adventure like white water rafting in Nepal, exploring in Melbourne, or trekking off the beaten path in Myanmar! I took it out on a 3 day backpacking trip and used it the whole time to wipe off sweat, rain water, and drying off while swimming in various water holes. To my surprise, it did not start to smell and dried extremely fast. I would highly recommend purchasing this towel as it is now an essential piece of equipment in my backpacking gear list! NOTE: Take a look at Discovery Trekking’s towels at the DiscoveryTrekking.com! Hi! 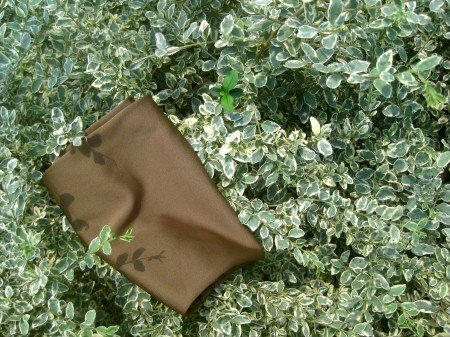 I am the owner and founder of Discovery Trekking, and just noticed the review on our ultralite backpacking towel. We appreciate the kind words! You’re very welcome Leslie! I just used the towel again this past weekend while I was camping out at a festival for three days and it worked extremely well. I love how light weight it is and how fast it dries. Thanks again for the gift! If you would like any other gear reviews just let me know!